It's a two-for-one: dancing and delicious food! 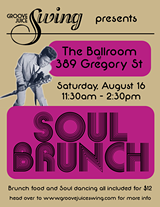 - DJ Mike will get us grooving to some swing and soul dance tunes. 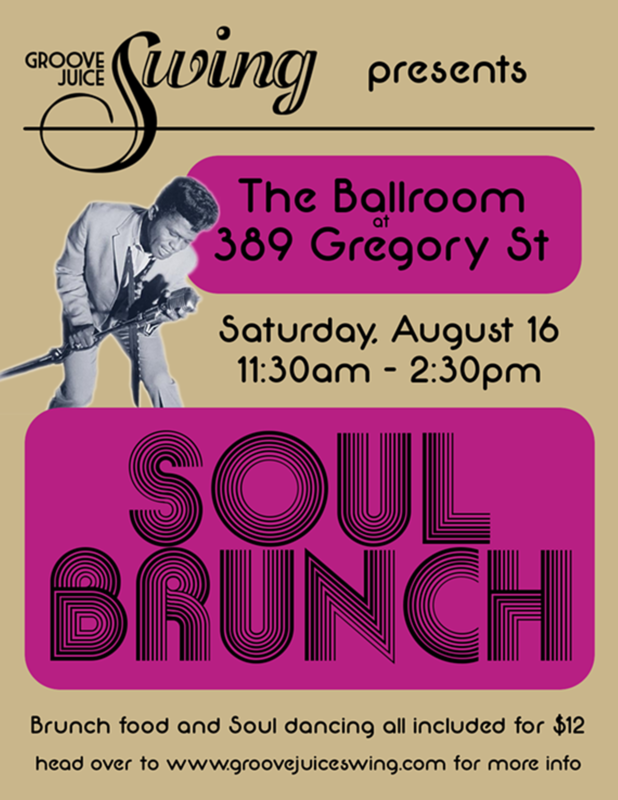 - A delicious brunch will be provided. Caterer TBA soon. Bring your appetite! If you've never been to the ballroom during the day before, it is particularly lovely in the summertime sunshine!